How is it that Minnie Mouse is so cheerful when she has been dating the same guy since 1928? Is anyone picturing her up on stage with Beyonce, strutting her stuff in a red polka dot leotard with fishnets and heels while singing, "If you liked it, then you should have put a ring on it!" Would she be all up on Mortimer Mouse in the club, her ex-boyfriend and Mickey's sworn enemy? Or, would the single lady let pushy Pete, the criminal cat with a long-time crush, spin and dip her on the dance floor? Maybe -- just maybe -- she's complacent in the status of her relationship with the mouse because she is having a torrid affair with Goofy. He's reportedly a confirmed bachelor, but could it be because he has already secretly found true love? Maybe all that sneaking around just fans the flames of love. While Minnie's love life may be a mess of mice, cats, and even a dog, her enduring style has always been on point. 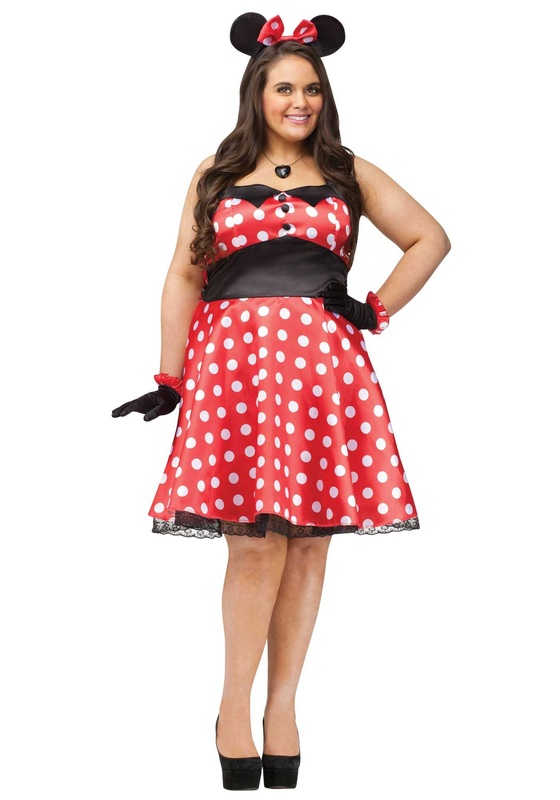 Girls rule the world and so does this red dress featuring the same infamous polka dots that Minnie has rocked for close to 100 years. This costume comes with sweet black gloves and a headband featuring mouse ears and the classic Minnie bow. Even if Mickey has her looking so crazy in love, she always stays stylish. She just needs to buy some bling and put a ring on it herself.